The Atlantic hurricane season has suddenly found its legs. Following some summer doldrums, a number of factors have come together to fuel a run of tropical weather. That includes Hurricane Florence, which has become the first major hurricane of the season. The storm reached Category 3 status — the threshold for major hurricanes — on Wednesday morning local time. The storm was packing winds of 193km/h and the National Hurricane Center said it was “still strengthening”. The storm is still out in the middle of the Atlantic, which is good news. 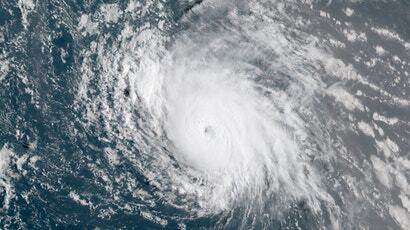 Hurricane-force winds extend only 24km from its centre, making it only slightly bigger than Hurricane Beryl, this season’s first hurricane (though that said, tropical storm-force winds extend 145km from the storm’s its core). 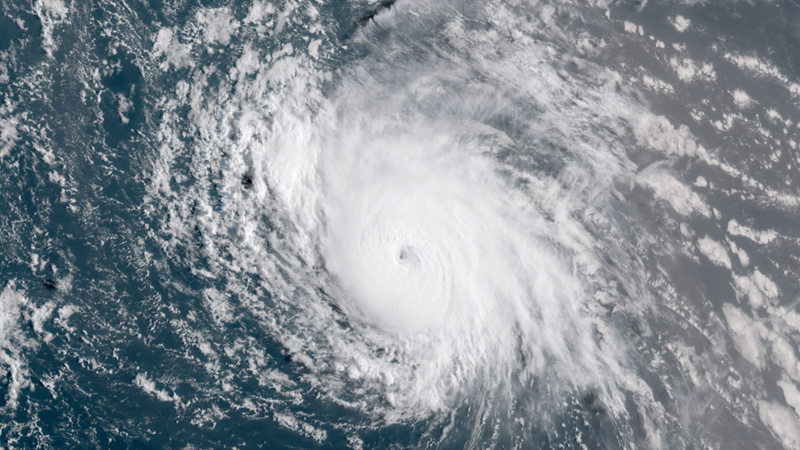 The bad news, though, is that Florence strengthened faster than predicted. 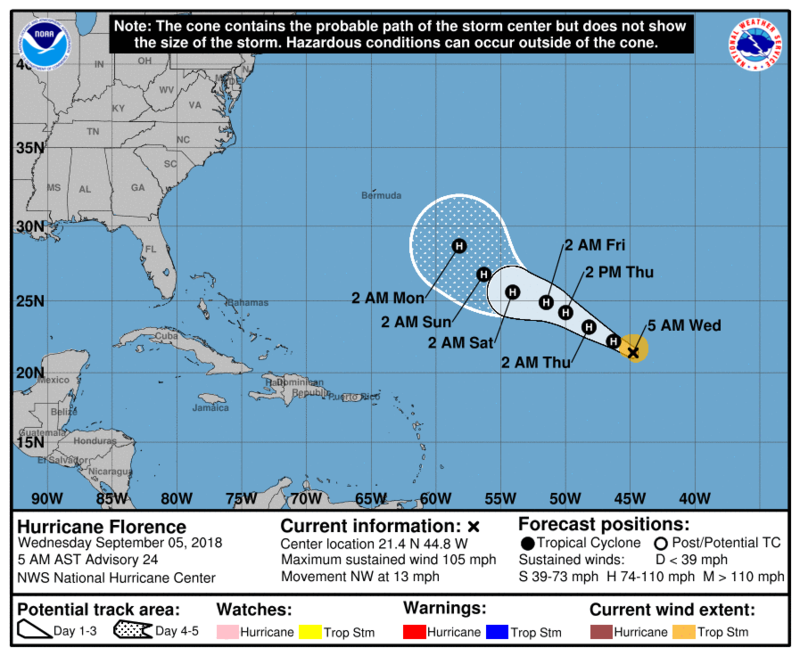 It’s also now likely to maintain hurricane strength through the weekend as opposed to yesterday’s forecast indicating it would dip back into tropical storm status. All of this is a concern because recent weather model runs take it near Bermuda by the middle of next week, with a possible US. landfall after that. 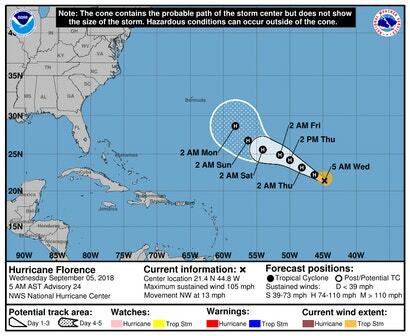 This is not say landfall in either location is by any means a given, but it does mean that Florence is worth watching if you live in either locale. September is usually the most active time of Atlantic hurricane season, and this year has proven to be no exception. Colorado State hurricane guru Philip Klotzbach tweeted that on average, one major hurricane has formed by September 5, so we’re pretty on schedule. The tropics are expected to stay active for the next few weeks as a parade of potential storms could form. That includes an area of low pressure currently sitting to the west of Africa that’s likely to become a tropical depression by the end of this week.